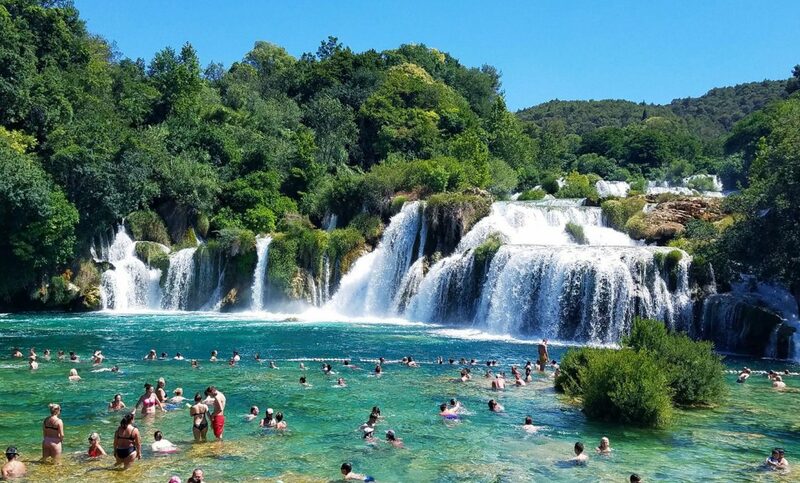 Today was a scheduled free day for the group but for those that wanted to join us, we took a trip to a nearby national park, Krka, and visited the world famous winery, Bibich. Before arriving to our destination, we stopped at a vista point which overlooked the town of Skradin. Just beautiful! We enjoyed walking through the charming town of Skradin. Saw a couple churches, went shopping, enjoyed a beer at a quaint cafe and ate great food per usual! We were spoiled with a risotto that takes 12 hours to cook and the owner only makes it about 10 times a year. It was fantastic! 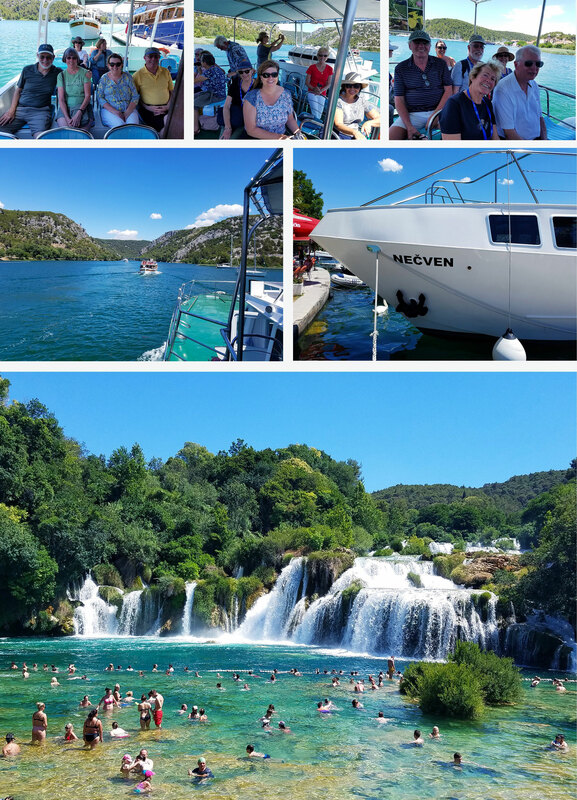 After lunch we embarked on a private boat which took us to the most famous waterfalls in the Krka National Park. They even allow you to swim in the river and close to the falls which some of us did! The water was nice and refreshing on this hot day. And last but not least, we finished the day with wine tasting at Bibich Winery. Most recently known for being featured on Anthony Bordain’s No Reservations show but they have been making world renound wines for decades. 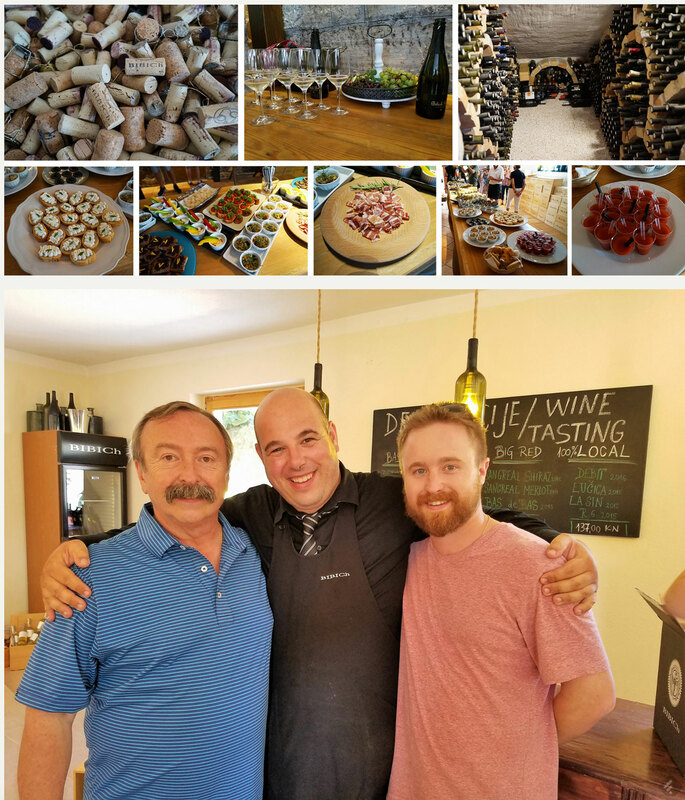 We had a tapas spread fit for a king and the tasting was presented by their winemaker and master sommilier. What a treat!